Ticks are small insects that feed off the blood and tissue from a living host and can be found in nearly any outdoor environment. If your children play outdoors it's important to check their bodies thoroughly for crawling or attached ticks. 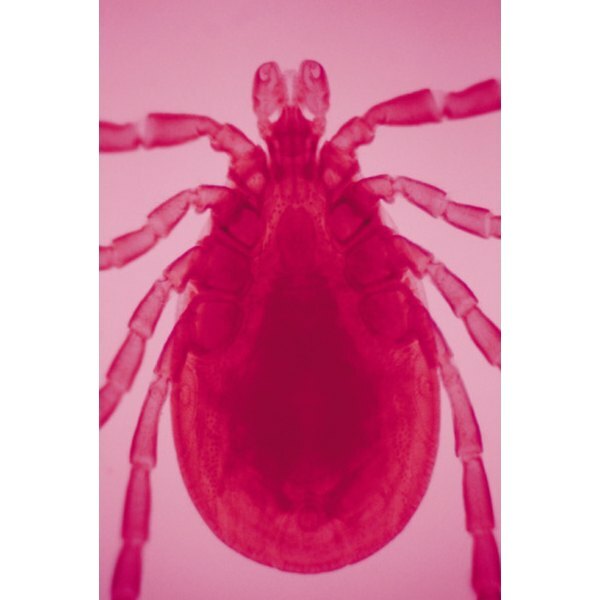 Removal of a tick that has attached itself to a child's ear, scalp or other part of the skin, is relatively simple and consistent for most body parts. Seat the child under a bright lamp and place his head comfortably in your lap with the ear containing the tick facing toward you. Part any hair and clip it away from the ear. Grasp the tick as close to the skin as possible, with a pair of tweezers. Apply firm pressure and do not twist or crush the tick's body. Pull straight upward firmly and slowly. If the tick does not immediately release and come off, continue applying firm pressure but wait for the tick to release before pulling it out completely. Swab the area with alcohol, apply an antibacterial cream to the bite and a small bandage, if possible. Pour rubbing alcohol into a small, lidded container. Drop the tick into the alcohol to preserve it in case your physician needs to examine it. Remove the head of the tick separately, if it remains in the skin. Clean the spot where the head is burrowed with alcohol. Use a sterile needle to gently flake off the top layers of skin to uncover the tick's head. Use the tweezers to remove the tick's head. Clean the entire area with alcohol before applying antibacterial cream and a bandage, if possible. Preserve the tick in alcohol for 1 week after the bite and monitor the area for signs of infection, rash or swelling. Take the preserved tick to the doctor immediately if signs of fever, infection, pain or swelling occur. Ticks can carry diseases like Lyme disease and may infect the host that they bite. Avoid using petroleum jelly, a hot match or heated tweezers to remove a tick. The heat or jelly can cause the tick to defensively burrow deeper into the skin making it harder to remove without leaving the head in the skin. In addition, they may also cause the tick to secrete more saliva and increase the chances of transmitting disease to the host.